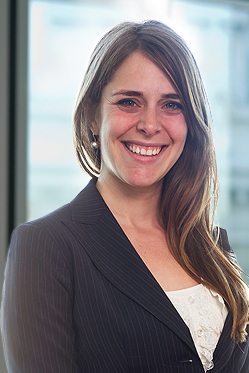 Clara Poissant-Lespérance was admitted to the Quebec Bar in 2015. She obtained from the University of Montreal her Bachelor of Civil Law (L.L.B.) in 2011 and her masters degree in private international law (L.L.M) in 2014. Her thesis related to the court’s jurisdiction over transnational corporations in civil litigation involving human rights violations. She is presently an affiliate to the Class Actions Lab of the University of Montreal. She started working as a law student at Lauzon Bélanger Lespérance in 2010. She did her internship at Trudel & Johnston before joining Trudel Johnston & Lespérance as a lawyer.